"I found it hard, it's hard to find, oh well whatever, never mind"
The above is possibly the most banal statement in the history of rock. But it's one that helped cement Nirvana's place as one of the most successful bands of theirs and future generations. Rewind back to August 1991's Reading Festival, and you'll find Nirvana two-thirds of the way down the main stage bill, sandwiched between Home Counties shoegazers Chapterhouse and squat punk outfit Silverfish. As live sets go it was competent, but fairly unremarkable. A bit like their recorded output up to that point truth be told. Twelve months later they'd repeat the same feat, only this time headlining the final night of the festival. It would go on to be their last ever live UK performance and one which your correspondant found so uninspiring he copped off with the girl in the next tent halfway through the set before heading back to hers. Compare that with fellow Seattle punks (the term "grunge" hadn't been universally coined at that point) Mudhoney and Tad, both of whom had amassed sizeable followings in the UK and released flawless debuts in the shape of 'Superfuzz Bigmuff' and 'God's Balls' respectively. Mudhoney's experimental urges saw them share kinship with the likes of Spacemen 3 and Loop, while Tad really were (and still are) like nothing else anyone had ever seen or heard before. Indeed, it could be argued that Nirvana got fortunate off the back of Mark Arm and co's fearsome juggernaut; their earliest UK shows saw them open for Mudhoney and, while not exactly a bad choice of support, they served as merely a warm-up for the main event. Nirvana, on the other hand, released 'Bleach', an OK if unspectacular record that contained little to suggest they'd be multiple platinum selling megastars just over two years later. Indeed, its most memorable trait was the cover artwork by Lisa Orth featuring a live photo of the band playing in Olympia just two months earlier, reversed out so as to look like a film negative. Musically it was derivative, the only song of note to stand out from the rest being 'About A Girl', ironically the most un-Nirvana sounding song in their entire canon. It really isn't a bad album...it's just not that great either. Not when compared against some of the other pivotal releases that graced 1991, arguably the finest year for music since 1977. My Bloody Valentine's 'Loveless', released two months after 'Nevermind', redefined the way guitar music - all music - was created after, and still does to this day. Similarly Slowdive's 'Just For A Day' and Slint's 'Spiderland'. Massive Attack invented their own genre with 'Blue Lines'. Smashing Pumpkins launched their career with the astonishing 'Gish'. R.E.M. reaffirmed their status as the biggest alternative rock band on the planet with 'Out Of Time'. Primal Scream created the perfect fusion between rock and dance music on 'Screamadelica'. Teenage Fanclub borrowed the blueprint set by Alex Chilton and Big Star for their jawdropping debut 'Bandwagonesque'. I could go on. 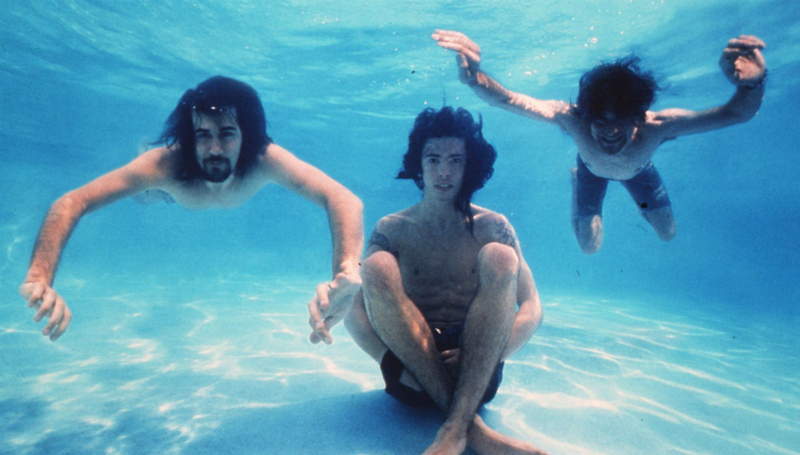 But then what did 'Nevermind' give us? A host of rock cliches, one song stolen mercilessly from Killing Joke's back catalogue, and a host of derivative bands dressed in plaid shirts. The majors may have got themselves into an almighty tizzy but, when all's said and done, their legacy was Stiltskin. Sure, what happened afterwards was a deeply unforeseen tragedy that can never be understated, but there's a part of me nagging away that still believes Nirvana would not be held in the same kind of reverence had Kurt Cobain not taken his own life on that tragic day in April 1994. Its successor was the sound of a band moving away from the mainstream and, in a similar way to what happened with contemporaries/peers/rivals (delete where appropriate) Pearl Jam, my guess is Nirvana would have returned to the cult band status their collective members craved all along. So the next time someone tells you 1991 was the year of 'Nevermind' and Nirvana, remind them of the 30+ other records that usurped it instead.